After spending over 4 wonderful, successful years, working out of The Shea Center in San Juan Capistrano, Judy has moved her base of operation back to the East Coast to be closer to the heart of the dressage world in Wellington Florida. She will miss her CA clients ,and horses, but will be returning there monthly to do clinics. Judy's facility in Loxahatchee, Florida, will once again become a hub of education for dressage. She has an exceptional group of educated horses to offer lessons on and will also be offering lessons to clients on their own horses as well as training year round in Florida. She will be traveling regularly to the Northeast and California for clinics throughout the year. Check the clinic page for updates. Carolyn Davey had a banner year! Long time student, Carolyn Davey , had a fantastic year of 2017! While very successfully battling the return of her cancer, Carolyn debuted at Prix St George with RE LE Corbu, her Arab/Dutch cross that she has trained since a 2 year old. Not only did they accomplish this, they also won their USDF SILVER MEDAL and USEF 1/2 ARABIAN FEI HORSE OF THE YEAR!!!!!! Carolyn is an inspiration to all of us. looking forward to more success at Intermediare 1 in 2018!!!! A Big Accompishment for Katy Mouzis and Kalvin Klein! Katy and Kalvin had a very successful 2015 and 2016 show season at Intermediare 1, with many wins, culminating with 2nd place in the RAAC Championships at Intermediare 1 ! Katy and Kalvin made their debut in 2017 at Intermediare A and Intermediare 2! Looking forward to the big step to Grand Prix in 2018, go Katy and Kalvin! 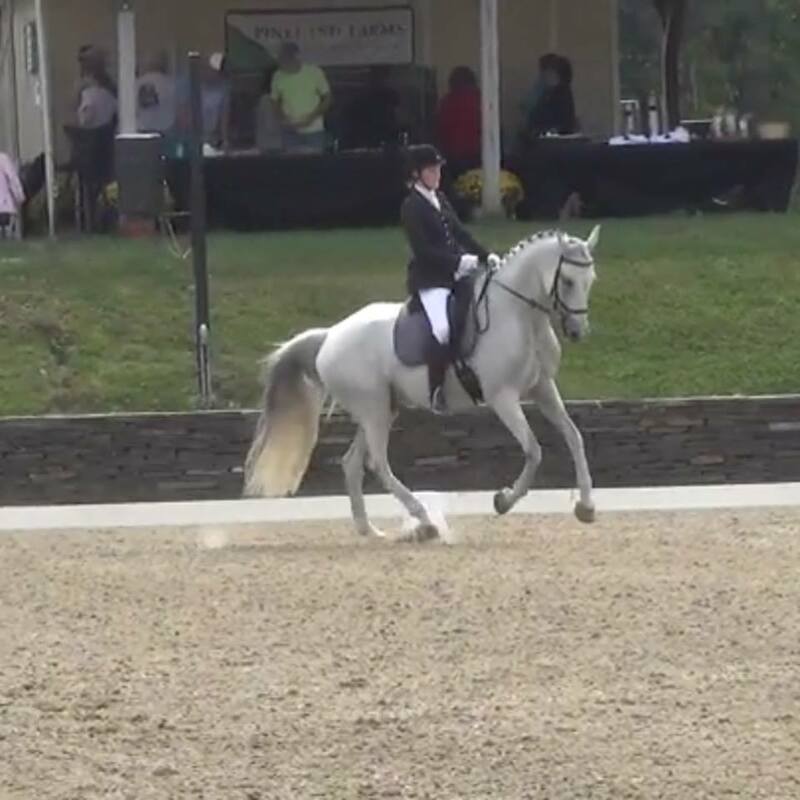 Westlake Dressage is so proud of Amanda Prohaska and Drakon! Congratulations! My number one goal this year was to earn my bronze medal in Dressage. I purchased my first horse - Drakon last November from W Farms and began my journey with my new partner. I knew there was a lot of work to do but nothing was going to stand in my way. I dedicated my heart and soul to this and we did it....I’m officially USDF bronze medalist雷!! A huge thank you to our very talented trainer Judy Westlake for everything!!! Erika Sawyer continues her winning ways in the Northeast! Long time student, Erika Sawyer is continuing her winning competition streak on her homebreds, Don Fidelis SEC , by Don Schufro, at First Level and Reyanna SEC, by Riverman, at 3rd Level. Erika, a USDF Bronze and Silver Medalist, and "Flik" were chosen as a demo team for the USDF Young Horse Symposium at Pineland Farms. Congratulations on your breeding and training and teaching success! Stefanie Sobol and Honorbound continue their paths up the Levels! Stefanie and her Trakehner ,Honorbound continued their winning ways in 2017 at 1st level and a big debute for both of them at Second Level. Onward and upward to 3rd level in 2018! Showing in Temecula, Del Mar and San Juan Capistrano, this beautiful duo is well on their way to finishing their Bronze Medal! Shelby Wheeler reintroduces herself to the Northeast with great success! 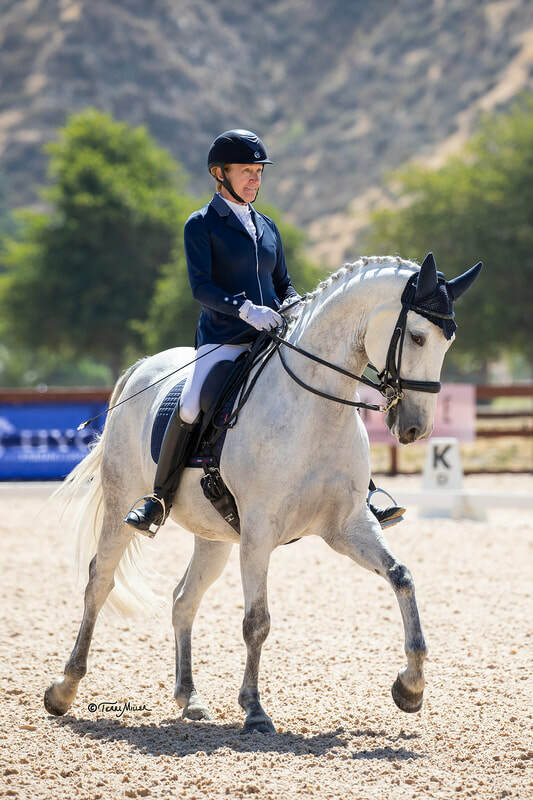 During two successful years on the West Coast, working for Westlake Dressage, long time student, Shelby Wheeler,'s riding took off in leaps and bounds. She worked hard and received her Bronze and Silver Medals while riding Tango, owned by Nicki Lucas, and Kalvin Klein, owned by Katy Mouzis. She returned to Maine to pursue college and continues her winning ways with her horse Image. Shelby on Kalvin Klein earning her medals!